This was my look from my last day in Texas. It was a work day but the conference was over and it was all follow-up meetings. I was prepared to toss my suit jacket on if necessary (thank god it wasn’t) and it looks great with the Oshima pants. If I add a jacket to this, I’ve now upgraded the look to business formal or keep it casual by adding a denim jacket. Similar blouse here. This was a happy hour look from a few weeks back. I came home from work long enough to switch tops and bolt. The peplum top (alternate here or here) was fun and easy and looked perfect with the high waist. Ignore my squint face …. 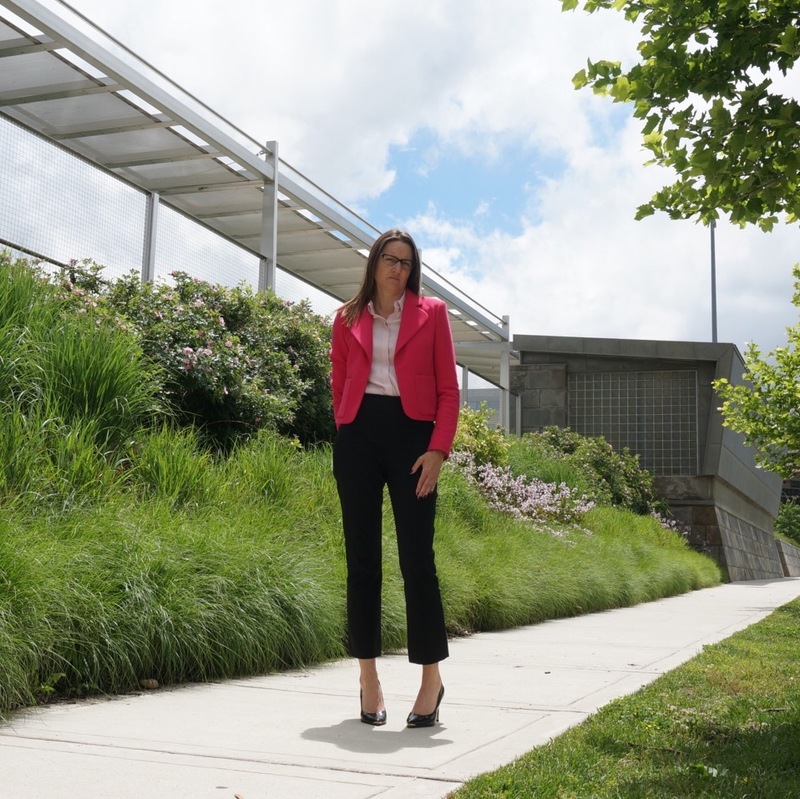 I hadn’t seen the sun for days … these pants are also completely blazer worthy for a more formal office look. Here I paired them with a tucked button down and bright blazer or this one. Don’t need to be so formal? Ditch the blazer and the tucked button down is preppy and cool. They even work with a cotton T. This is my lounge look post work yesterday. If I was leaving the room I would toss on casual sandals and a jean jacket. It really shows the diversity of these babies. I’m a jeep girl and this is what was in the top of the laundry bin – but use any slogan T-shirt or even a plain white tee. Don’t like the flares … try a high-waist skinny as an alternative. These rag and bone skinnies have been a go to all season long and come in lots of colors and patterns. I searched for awhile to find the perfect pair and I tried several (read too many) loosing pairs. These though … they are flowy and fabulous. Like all things Ann Taylor they also come in petite, tall and a host of solid colors. To keep things more traditional do a twist on the classic chino. Look for upgraded versions with fancier material (think blends or linen) or colorful prints. 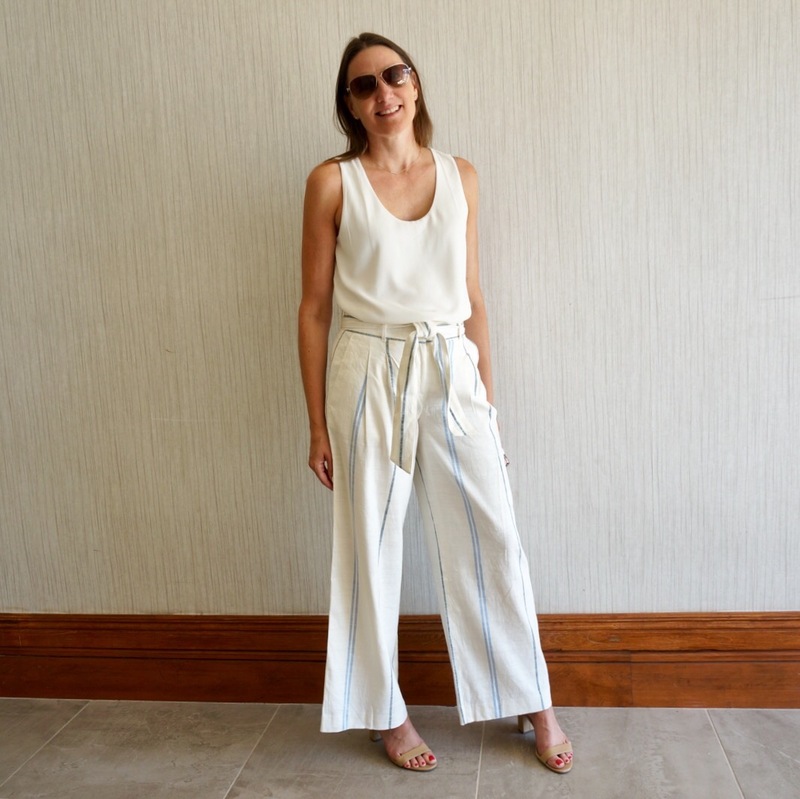 I featured these upgraded chinos from the Nordstrom Collection in my sale roundup a few weeks ago and they are still available. These are thick and lush feeling with lots of stretch. Also available in white and black. I am wearing the Veloria in Navy and they are currently 60% off. While these look like my Rag and Bone skinnies linked above, they are actual from Ann Taylor. They make two different fits, the Devin and the Kate for slightly different body types (I have on the Devin here) and they come in tons of colors and prints. Definitely an upgrade to the classic chino! Nic and Zoe make these “perfect” ankle pants (that’s literally what they are called) and they are the very definition of upgraded chino. They come in several different colors and styles. For the budget fashionista, you can never go wrong with Merona from Target. These also come in tons of colors and styles. A whole host of them were featured in this post here. Another brand to look at for casual chic is Sanctuary. They have cool cargo or jogger style pants that put a twist on the ordinary chino. I’ve linked several cool options here. I especially like the linen crop cargo with the adorable ankle ties. Lastly, colored denim. White and black are classic and easy to upgrade … but pastels offer a fun option for summer. 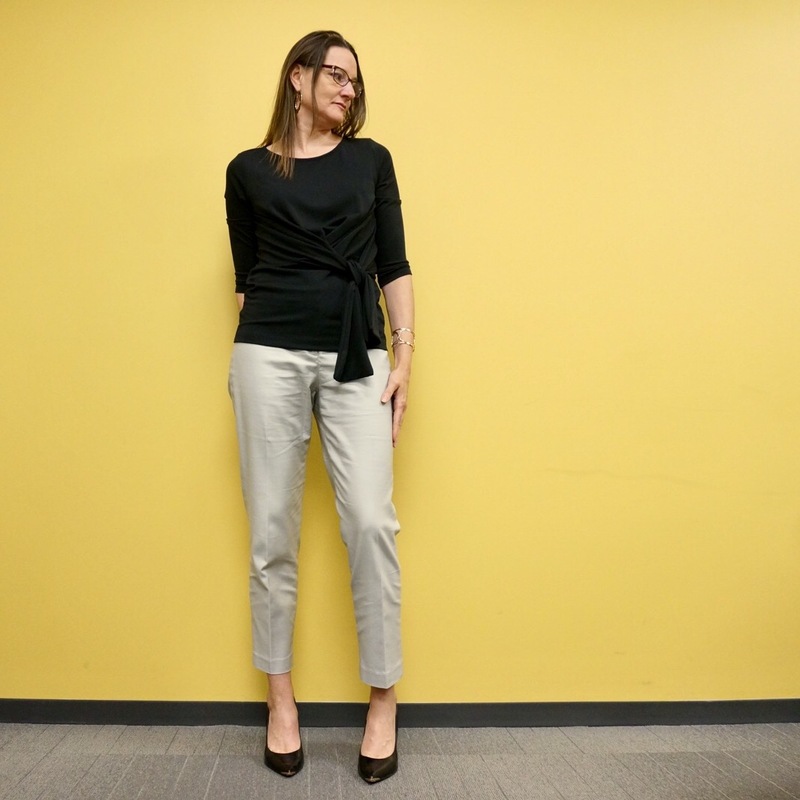 Now, I cannot wear Denim to work so these are strictly weekend wear for me but many less formal office environments allow jeans for their casual Friday. If there is ever a question … besides formal policy … take cues from female managers and executives in your office. If they’ve worn something, then you are likely good … otherwise it may not be the best time or place to be the trendsetter. I like Ann Taylor’s crop denim for white. For Black, I typically stick with Paige and for some cool pastel options try Wit and Wisdom Ab-solution (yes, that name does what is says – provides a solution for your abs … and at a bargain price).